EDUARDO RISSO - BATMAN #620 PAGE 8 - ORIGINAL ART. 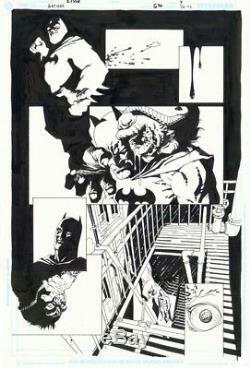 The page is an original art pen and ink by Eduardo Risso from Batman #620 (broken city). The item "Eduardo Risso Batman #620 page7 (Broken City) original art" is in sale since Sunday, September 24, 2017. This item is in the category "Collectibles\Comics\Original Comic Art\Interior Pages". The seller is "wtr1712" and is located in Lyon. This item can be shipped worldwide.